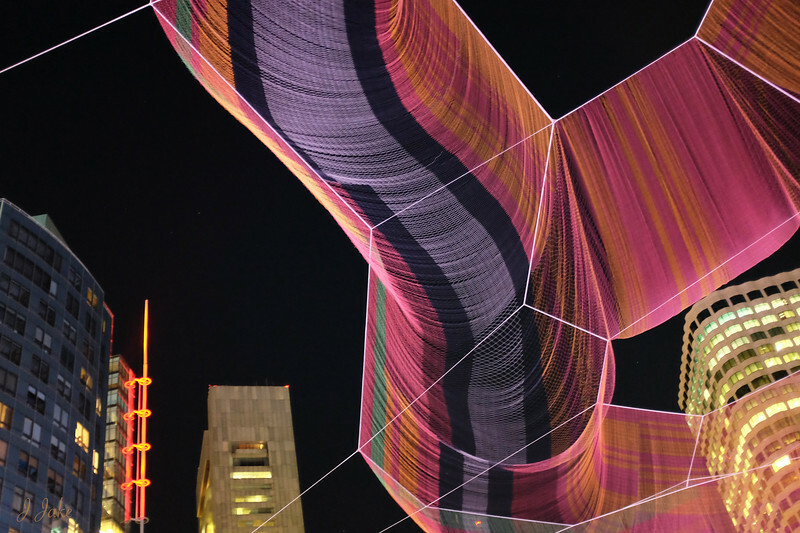 The aerial sculpture over the Rose Kennedy Greenway is mesmerizing. I gazed until my neck was strained watching the fabric sway about as it created different shapes with each passing breeze. Lying down on the grass allowed for further observation so I might identify, in my head, tangible objects that might fit with the forms of the flow. Ever moving and changing art, what an elegant addition to Boston.